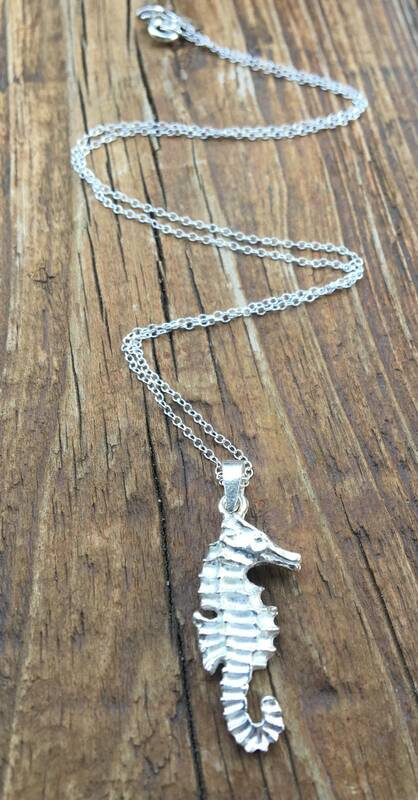 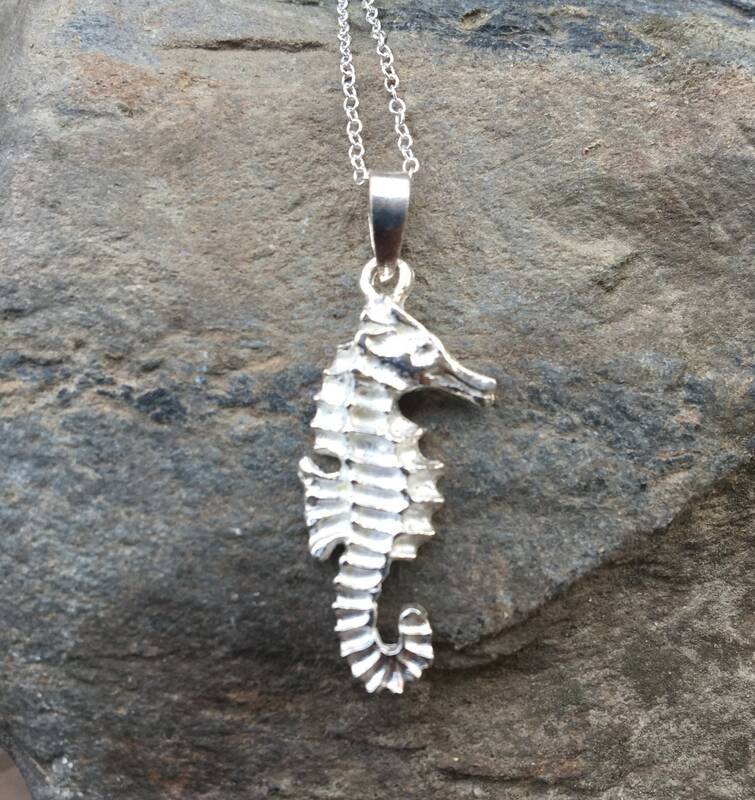 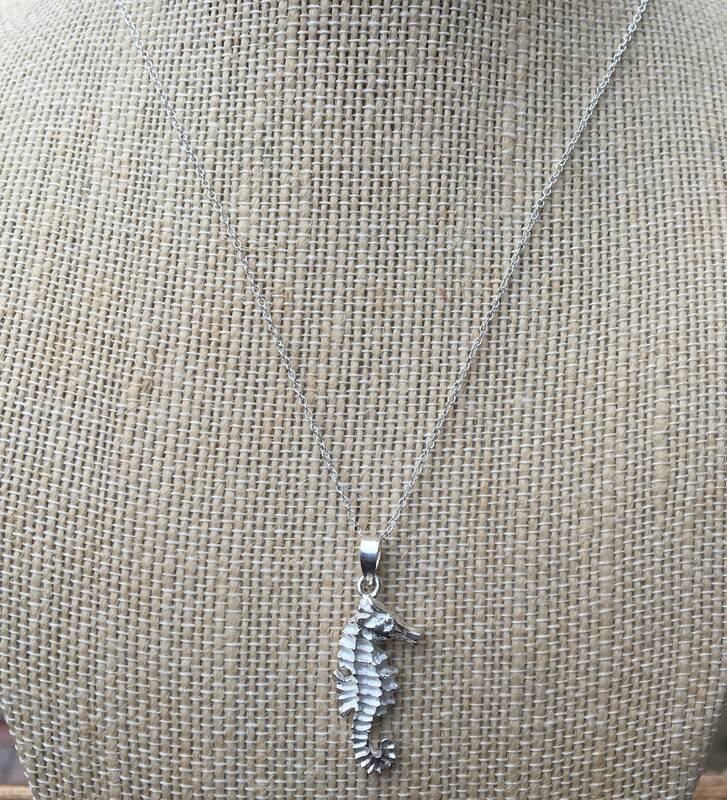 This sterling silver seahorse measures 1 3/8” long including the bail (top section that the chain goes through). 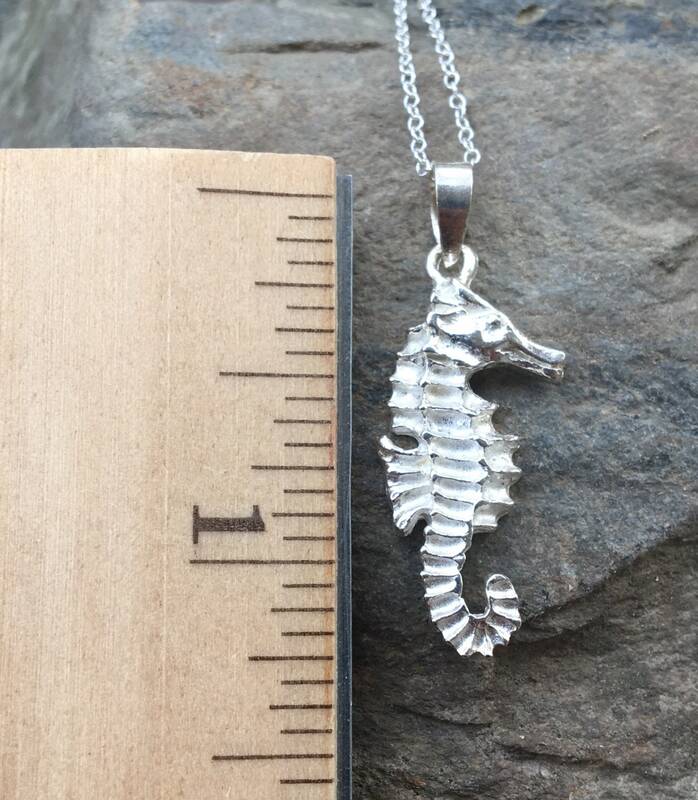 The seahorse measures approximately 1” long. 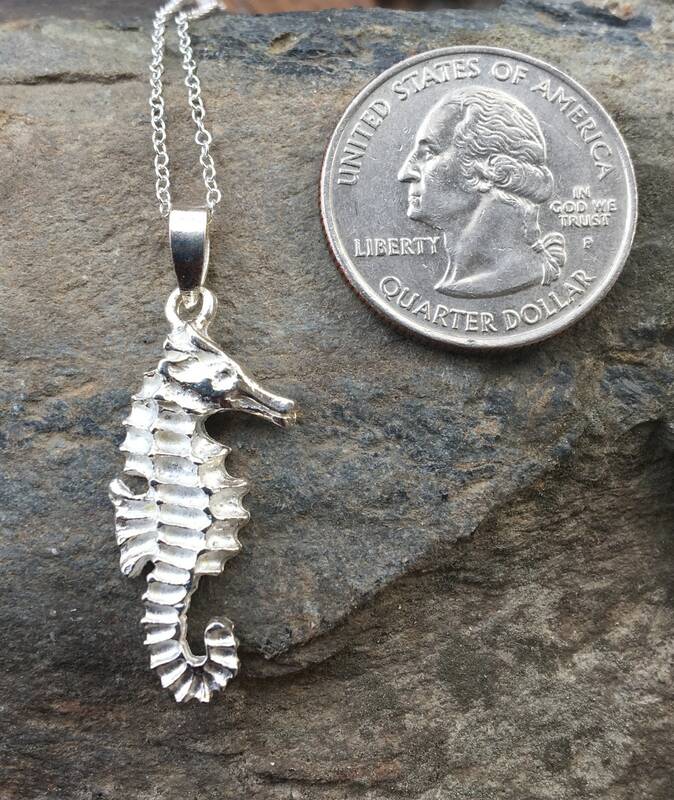 You may choose between a 16”, 18”, or 20” chain. 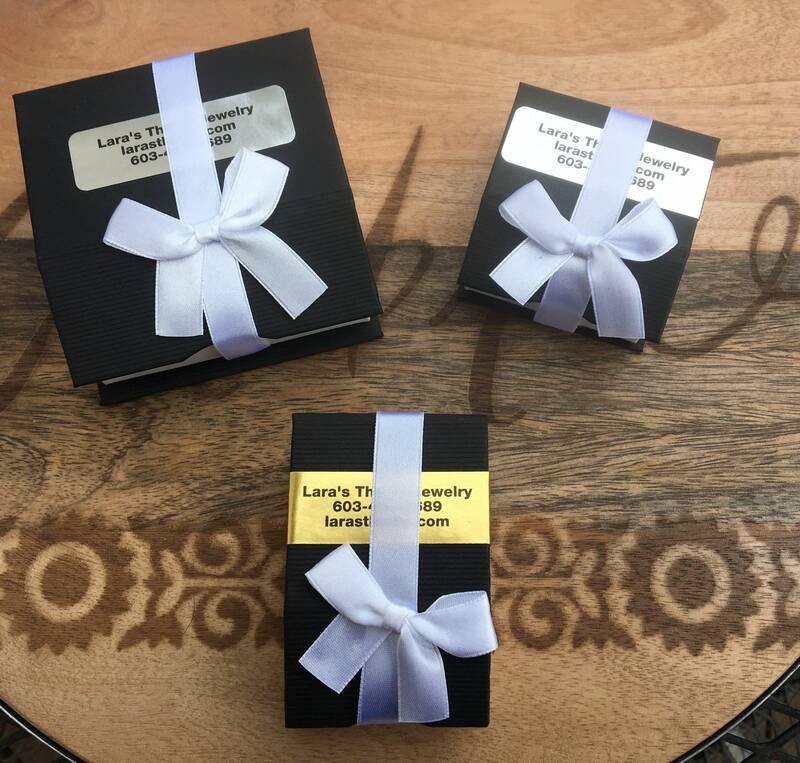 Arrives in black jewelry gift box with white magnetic ribbon.